Investors have done well out of zinc stocks. But getting in isn't easy. Summary: The world's biggest zinc producer has put another rocket under the metal and its stablemate, lead. Key take-out: Zinc and lead continue to rise as demand outstrips supply -- but doubts persist about the boom's longevity. Key beneficiaries: General investors. Category: Commodities. ​There was a time when a mine opening excited investors. Today, it's mine closures or, in the case of zinc and lead, a promise to not restart mothballed mines. That has put a spark in the price of two metals which were once an Australian specialty. Ivan Glasenberg, chief executive of the international mining and commodities trading group Glencore, said last week that he would not move quickly to replace an estimated 500,000 tonnes of zinc removed from the market over the past 12 months because of low prices. Because Glencore is the world's biggest producer of zinc, Glasenberg's comment on future production plans added a few cents to the price of the metal, largely used to galvanise steel, which was already at an eight-year high. It also boosted the price of lead, which is often produced in association with zinc, to a five-year high. For Australian investors the surging price of zinc and lead is proving to be somewhat frustrating. While both metals were once found at the heart of the two biggest miners, BHP Billiton and Rio Tinto, exposure now is primarily through South32 which operates the Cannington mine in Queensland (best known for its silver output). 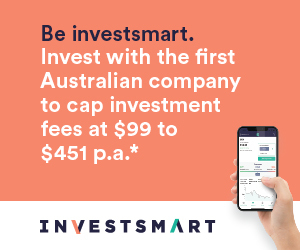 Most other Australian stock exchange-listed companies exposed to zinc and lead are in the exploration stage of their lives, which means they are not yet benefiting from the higher metal prices and face the hurdles of funding while hoping that the current prices are not another short-term spike that could fade as quickly as it has appeared. Despite that risk there are signs of interest growing in some of the explorers, especially those with the potential to be involved in the development of a substantial mine of the sort that might attract a big producer as a partner with financial clout and operational expertise. The last time Eureka Report took a close look at the zinc market was in early June (Zinc is back on the radar, June 8) when conditions in the market were starting to heat up. Back then the zinc price had risen to US90c a pound, up by 36 per cent from US66c/lb at the start of 2016. On Thursday, zinc was trading at $US1.24, up by another 38 per cent. Glencore's share price, meanwhile, has risen to £2.96 on the London Stock Exchange, 310 per cent higher than its opening trades in 2016 (and 105 per cent higher than our June 8 story). Zinc is not the only metal driving Glencore which, like South32, has a broad range of mining assets under its control, including coal and copper. Among the small zinc and lead exposed stocks that were mentioned in June the one that has risen furthest is Ironbark Zinc, which was trading at 5.9c but has recently cracked the 10c ceiling – up 69 per cent in six months and 230 per cent on its 3c low point reached in January. Ironbark's plum asset is the Citronen zinc project in Greenland, a potential world-class mine which has attracted the close attention of Glencore and one of the world's biggest zinc refiners, Nyrstar. Red River Resources, which is redeveloping the Thalanga zinc mine in Queensland, is up another 4.5c (28 per cent) from its early June price to trade at 20.5c, but did get as high as 28c in August and last week announced completion of a $30 million capital raising to fund Thalanga's development. Other stocks mentioned in June have not done as well. Heron Resources, which is redeveloping the Woodlawn mine near Goulburn in NSW, has slipped 2c lower from its June price of 15.5c but at 13.5c it remains 5.5c higher than its low point for the year while Energia Minerals, which is redeveloping zinc mines in the north of Italy, has lost 1.9c to 3.8c. On the metal market there is no sign of prices retreating as the effect of production cuts squeezes supply just as demand appears to be accelerating, thanks to the latest round of economic stimulus in China and the promise of faster growth in the US. The net result of falling supply and rising demand is that both zinc and lead are enjoying their best trading conditions since 2007. As always with commodities, that's a question which goes directly to supply, demand and project development. With zinc the supply/demand situation is quite promising with the International Lead and Zinc Study Group, an industry research body, reporting last month that metal consumption has started to outstrip production after several years of surplus. In September, the ILZSG said zinc metal usage totalled 1.2 million tonnes while metal production totalled 1.18 million tonnes – with the deficit trend expected to continue. That drift into deficit is thanks to strengthening demand but also because of Glasenberg's promise that Glencore will not be rushing to bring capacity back online. “We will not being tonnes into a market where we will be the ones to cause a negative effect on prices,” Glasenberg said last week. Significantly, he also noted that restarting a mine back into production was not a short-term exercise. “Each mine takes nine to 15 months to bring back, and you won't bring it all back at once." Lead, which has a variety of industrial uses, has been late to the party and remains in slight surplus, according to the ILZSG. Despite having a market closer to being balanced the price of lead has recently moved back above $US1/lb, trading on Wednesday at $US1.04, up 40 per cent since May. Of the two metals zinc is very much the leader given its bigger market and important use in protecting steel from corrosion.